The professional league of American football is pouring money into Tottenham’s new stadium. Not too much money as of now, but it may be more than a seasonal affair. NFL was revealed to have invested £10 million ($12.8m) in Tottenham’s new stadium. It’s a relatively low amount with regard to the project’s immense scale (just over 1% of the budget). At the same time it’s the first time we see NFL investing in a project of this importance overseas. Why? As you surely know, the new Tottenham stadium already has a contract with NFL to host “no less than two” NFL games per season. The long term goal seems to be, however, to have a permanent franchise in London. Previously thought to be housed at Wembley, that team would now most likely play at Tottenham’s new home. NFL’s investment in infrastructure is quite common within the league’s new stadiums, while for Europe it’s a new thing. As ESPN FC suggests, it's unlikely to end with just £10 million. The building will also house the much larger changing rooms required by NFL, along with other secondary infrastructure and hospitality facilities ready to meet expectations of both NFL and Premier League consumers. 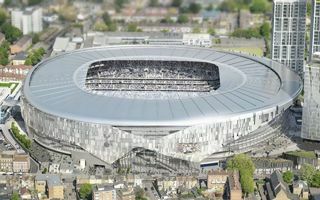 On a side note, this week Tottenham filed planning application for expansion of the stadium’s capacity. Don’t get too excited though, it’s only cosmetic, expected to grow to 61,559 by exactly 89 seats.